The early bulbs, annuals and perennials made a surprising recovery from the four inches of wet snow that fell over the weekend. Come to see annuals such as pansies, Persian buttercups, nemesia, Iceland poppies, poppy anemones and toadflax in the Circle Garden, Enabling Garden and at the Visitors Center. Bulbs in bloom include squills, narcissus, crocus and species tulips. 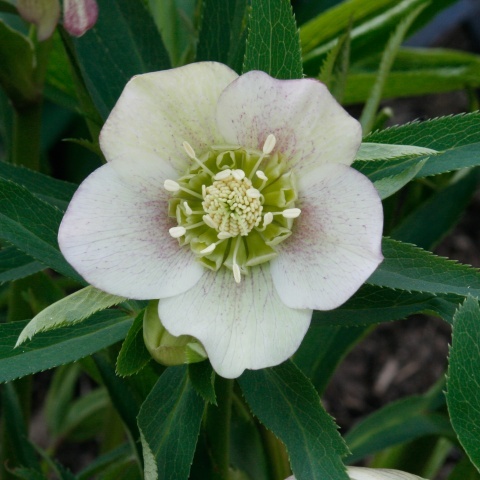 Lenten roses, primroses, and butterburs and are the first garden perennials making an appearance. In McDonald Woods you will also see spring cress, marsh marigolds, false rue anemone, trout lilies and bloodroot. Trees and shrubs are budding and starting to bloom, with Corneliancherry dogwoods, star magnolias, pussywillows, and fragrant viburnum putting on a show. Forsythias took a beating with the -23 temperatures in January, with ‘Northern Gold’, along the west road, faring the best. Enjoy spring at the Chicago Botanic Garden. Download a detailed list of plants in bloom in all Garden areas.